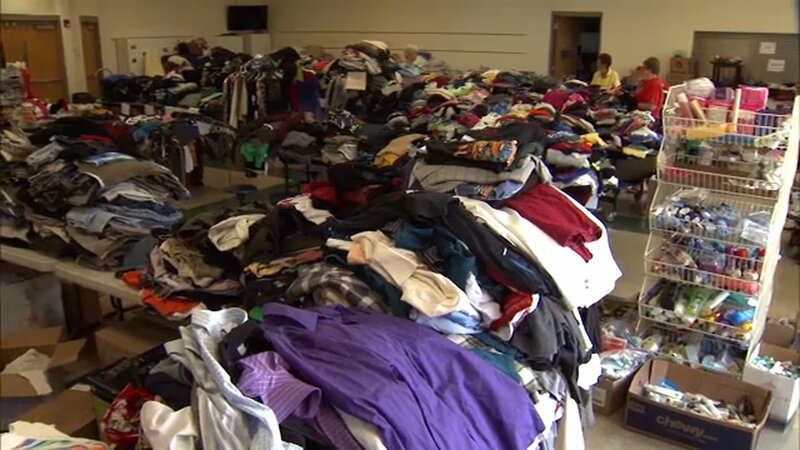 PROSPECT HEIGHTS, Ill. (WLS) -- A suburban church has collected hundreds of items for the victims of that massive condo building fire in Prospect Heights. Saint Alphonsus Ligouri Church, also in Prospect Heights, has piles of clothes, shoes and boxes filled with food and toiletries available for those impacted by the fire. The church will be open until August 11 for people to drop by and get what they need.